There was once a time when I wasn’t very proud of my job. It was the five years I spent as a telemarketer during my senior year of college and the four years following. The job involved cold-calling business travelers and selling them hotel accommodations for trade-shows they’d be attending. This was from 2006-2011 as hotels.com was on the rise. The company I worked for had access to hotel rooms at steeply discounted rates, even lower than hotels.com, the catch was that we couldn’t market the deals online. The only way to advertise the rate was to call travelers and offer the deals directly. It wasn’t very fun and it wasn’t easy, but I earned commission so the more I sold, the more I earned. 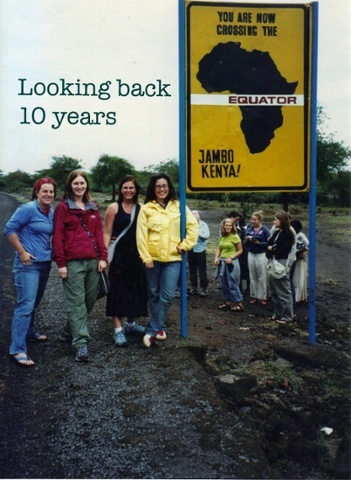 I struggled with feeling like the job was meaningless, especially after returning from an amazing year abroad in Kenya. My mind and heart were still processing the experience of the past year, my ambition for travel was ignited, but I didn’t have time to plan next steps, I just needed to make money somehow, and fast. I knew I wanted more out of my career and life but hadn’t yet figured out the path. I was technically working for myself as a contractor, and earning a living, so I thought of myself as an entrepreneur and that made it bearable. Looking back over the past ten years of my sales journey, if I were starting out again, I would tell myself to embrace the time I spent in telemarketing. Later in life I came to realize how that job would impact my entire career, first in sales and later as a business owner. While the concept hasn’t changed, the channels in which businesses stay in front of their customers has. Today as a marketing consultant I help businesses identify and understand the best strategies to consistently get them in front of their ideal customers so they are always making new calls. The ideal channel of ten years ago has likely changed today, and businesses need to ask themselves if they have adjusted with the change. Today’s approach likely requires a digital component such as content and email marketing, consistently reaching out/drawing in new potential leads as well as maintaining communication with existing contacts. To make consistent calls on new target customers businesses must understand how their ideal customers are engaging, and where, so that they can consistently get in front of new leads. Always have Leads in the Funnel: To be successful in telemarketing, or any sales job, requires leads in the funnel. To create a steady flow into the funnel, determine the average length of your sales cycle, the average value of each sale and your closing ratio so that you can set your goals. 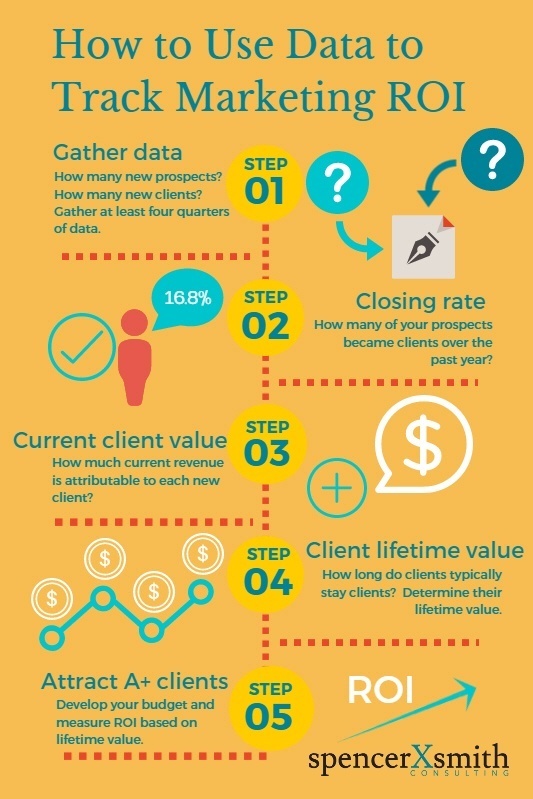 I like this helpful cheat sheet from Spencer X. Smith Consulting that helps determine your closing rate, current and lifetime client value. Once your goals are in place, develop the strategies that will keep leads coming in. These are skills that I learned through telemarketing and honed in many scenarios since then, including my time spent in TV advertising. In TV, I knew my sales cycle, average sale and closing ratio. Then I figured out that the toughest part of getting leads into the funnel was landing the first meeting with the client. I learned that most clients required at least 2-3 touch-points before they agreed to meet with me. I learned that business owner clients valued referrals from other business owners. Knowing these three things, I developed a strategy to keep consistent leads in the funnel which included developing a system to get in front of prospective clients at least 3 times within 6-9 months. I also got involved in networking groups with influential business owners who overtime began connecting me with their business owner friends and connections, providing consistent leads into the funnel. I learned to craft talking points to each businesses’ marketing pain points. These strategies worked to keep consistent leads at various places in the funnel for this particular market. Today, because my target audience has shifted and they make decisions differently, so have the strategies used to keep leads in the funnel. It’s critical to understand where your audience is so that you can market to them where they are to get leads, and then nurture them through the funnel to the closed sale phase. I’ve found it’s crucial to carve out lead development and nurturing time weekly as this habit creates consistent leads. I teach business owners how to do the same thing. The root of what I’m teaching goes back to that skill I learned when I was 22 as a telemarketer… however it’s achieved, by phone calls, blogging, SEO, email marketing, always have leads at various stages in the funnel. Listen and sell to customer’s needs: The final, yet possibly most important skill honed was learning to listen to customers and sell to their wants and needs. Sales is more about listening than it is about selling. When I called prospective customers, it removed the ability to perceive body language, so I had to really listen to what they were saying, and how they were saying it, so that I could quickly interpret their fears, wants and needs. In a 3-second attention span world, I knew that if I got a customer talking, I needed to listen carefully because my 5-10 second response would determine if the conversation kept going or ended. Responding after careful listening was my opportunity to reiterate that I heard what they said, and provide a solution to their specific question or concern. Customers want solutions for problems and there was no better way to learn that then in a 5 seconds-to-hang-up-world; if I got a customer talking, the next words out of my mouth needed to deliver value to them. Understanding how to craft your marketing message to address your customer’s needs is critical in business. Learning how to effectively listen to and solve my customer’s problems is something I’ve developed over the past ten years and was based on that hard-built foundation as a telemarketer. If I were 22 I would tell myself not to be embarrassed about being a telemarketer. The time spent in telemarketing taught me the keys to sales success that would play an influential role in my journey of the next ten years. I am empowered to help customers today with strategies that make meaningful impacts on their business because I understand how to make calls, how to keep leads in the funnel and how to solve their problems. If I could go back ten years, I’d dial again. Every painful, embarrassing and disappointing phone call. Because today, I’m not 22, I’m 32, and 32 is pretty darn good. 32 is the product of every decision I made, when I was 22. 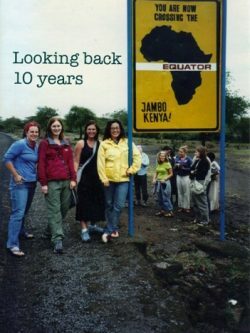 In 2015 I returned to Kenya after 10 years, and it was amazing! 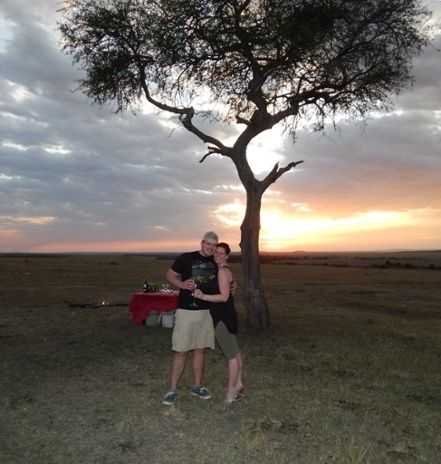 That trip and future trips are possible because of the hard-fought competencies I developed in the first few years after my return home… I’m glad I put up the tough fight early on to make my future dreams realities.